EExAT is a highly sophisticated online assessment system, that has multiple, integrated functions to fully support teachers in assessing and tracking progress, sharing learning with parents and reporting data to Senior Leaders. Schools and settings using EExAT become part of the Early Excellence Assessment Community and can benefit from this specialised programme of professional development. 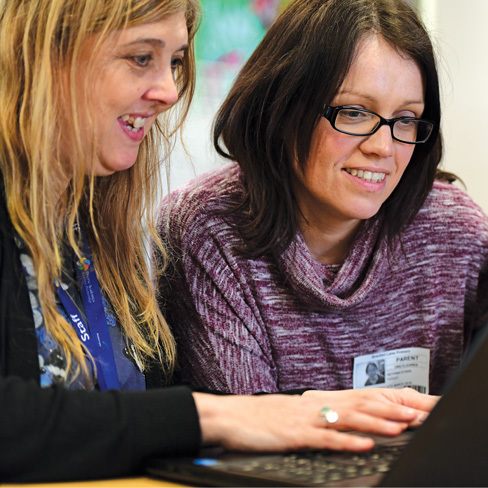 The programme ensures that practitioners, EYFS and Senior Leaders using EExAT fully understand how all of the functions, content and data can be used to upskill staff, moderate learning and account for children’s progress. As part of your EExAT subscription, year on year, a lead teacher in your school/setting MUST attend the mandatory half day training session. These take place regularly in our Centres and via Live Webinars. The system is sophisticated and, whilst simple to use, there are key features and new developments that we need to talk you through before you get going each year. During this vital, half-day session you will be taken through the full EExAT system and be shown how it can be used to support every aspect of your practice. One person MUST attend to be updated. *Please note all EExAT schools/settings will have received an email containing a discount code which entitles each school/setting to one free training place. Please enter the code when prompted to do so at the checkout. Additional places can be purchased for £65 (exc. VAT) per person. If you have been given a code for a free training place, place enter this when prompted to do so at the checkout.